Our programs are designed to provide close one-on-one help to women and their families find stability and self-sufficiency after a period of homelessness. Our residential program is a happy and uplifting place for residents to call home while participants work towards self-sufficiency. Each person has her own room, and there are shared common living areas. 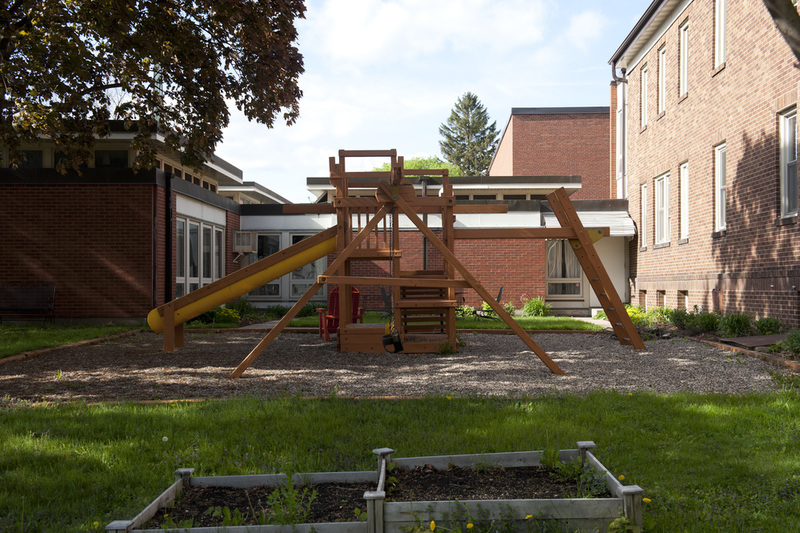 Staff offices are on the main floor, and there are toys, books, and indoor/outdoor play areas for the children. Residents support each other, and often share meals, child care, shopping, cleaning, and other tasks—as well as wisdom, ideas, and experience in pursuing their goals. Clients in our Caroline Family Services program live in their own apartments, but meet regularly with our program staff, either in their own homes or at Theresa Living Center offices.